Background Bio - Brantford, Ontario pseudo-rockers Bad Reed channel a multitude of popular and obscure influences into unique snapshots of passion. Bad Reed released their first professional studio EP last year,and it's available on line for free (Here). 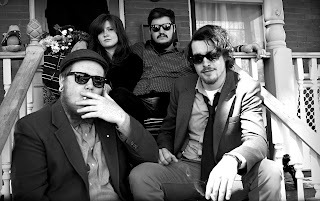 Bad Reed is Costa Chatzis on percussion, Austin Sharpe on bass, Sydney Sollazzo vocals and keyboards, and Graham Walker on guitars. Hailing from small towns and diverse backgrounds, Bad Reed consists of members with varying music tastes. The group emerged in March 2015 from the ashes of their previous acts to forge a new, focused force of nature. Strip-searching music's history while fusing modern zest, they are likened to acts from Alt-J, Hozier, Jack White, and The Black Keys to Snarky Puppy, The Mars Volta, and Esperanza Spalding. Gooch and the Motion - Coming Home. Artist, Ryan “Gooch” Nelson and his band, Gooch and the Motion, are preparing to release their debut album, “Comin’ Home,” on February 19th 2016. Background - Ryan “Gooch” Nelson is an inspiring quadriplegic cancer survivor from New Jersey, who hasn’t quit since his paralyzing 2004 auto accident, with an infectiously upbeat attitude and an ability to write and perform equally infectious blues-based rock. His producer, nine time Grammy winner Joe “The Butcher” Nicolo (Billy Joel, Cypress Hill, Wyclef Jean, Lauryn Hill, Boyz II Men, DJ Jazzy Jeff & the Fresh Prince), thought enough of Gooch to make him the first artist on his new record label, Blacbird Records, distributed by Universal. 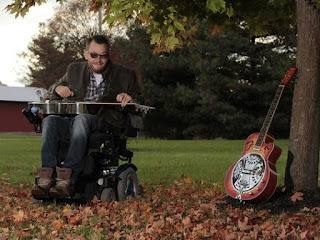 On his Facebook page Ryan 'Gooch' states - I am a quadriplegic, musician, writer, & a man of many hats. I am living my dream and want to inspire others to never give up on theirs. The Washington Post carried an article on Gooch and can be found (here). 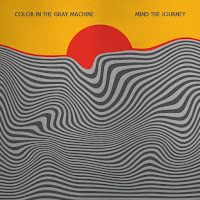 Mind The Journey - Rose Colored Glasses. Background promo - Raised on a tranquilising shoreline in Connecticut, Spencer Sabo spent his youth learning the drum set, making crazy films with his brother, and exploring his creativity. In high school Spencer found like minded peers and started playing drums in a band. Here he began his journey of learning the ins and outs of audio production, recording and mixing the songs they created. It wasn't until the age of 17, when Spencer began experimenting with an old keyboard, that Mind The Journey was born. He made sure that what was in his head was the exact way his creation came out. Background promo - Housemate has never been one to conform to musical genres and "classification". A self-taught disciple in the craft of genre-splicing, "Wild Gardens" embodies the contrasting influences and conflicting diversity personified by his Stop Out Records back catalogue and live shows. 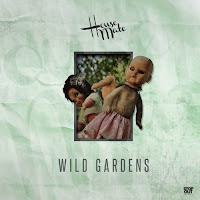 'Wild Gardens' coolly dissolves from its eccentric outset into a backdrop of acidic jazz trombones and cinematic melodies to disclose a calculated trapstep killer ominously lurking underneath its kooky leftfield exterior. From the opening notes 'Wild Gardens' was one of those pieces of music that gained my total attention. Different, and yes a little eccentric, however immensely pleasing. With so many directions being taken, they somehow come together as a strange, but wonderful piece.